This is one of the most fun reviews I’ve done thanks to the awesome tech dreamed up by the Segway-Ninebot team. 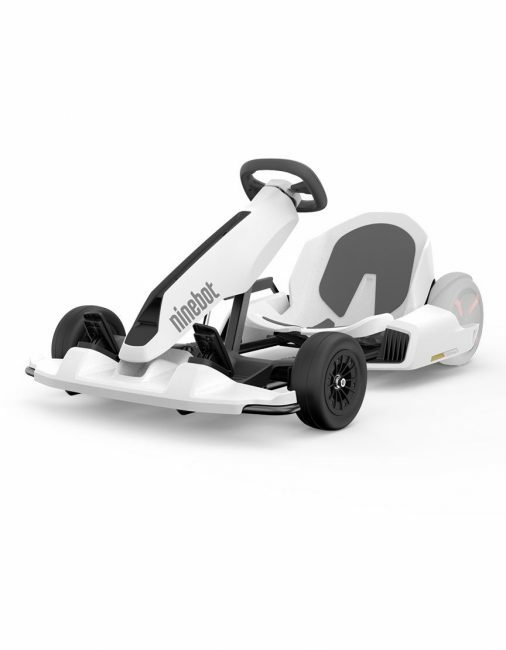 The Drift W1 are roller skates for the next generation and the Ninebot Gokart Kit is an eGokart for the electronic vehicle revolution. Both are exquisitely designed, exhilarating, and will bring out the kid in you. If you are not reading this review on Gear Diary please be aware that this is stolen content. Please visit www.geardiary.com for additional content so you don’t support thieves. Thank you. Segway, made famous for their self-balancing personal transport vehicles turned mall cop chariots, have since teamed up with Ninebot to come up with new and exciting tech for the years to come. 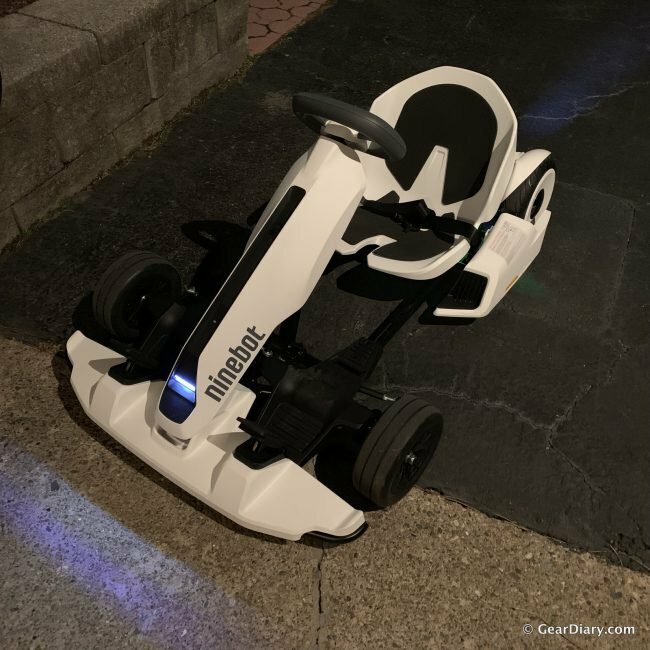 Both the Segway Drift W1 and Ninebot Gokart Kit are perfect examples of the imagination, ingenuity, and craftsmanship that have come out of the partnership. 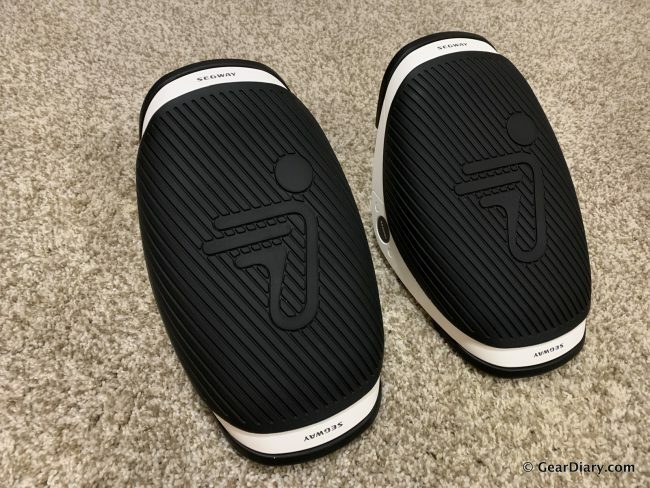 The Segway Drift W1 are essentially individual Segway personal transporters, more commonly known as hoverboards, for your feet. Think of them like self-balancing roller skates that you stand on, but aren’t attached to your feet. They stay still if you are completely balanced, but when you lean in a certain direction, you start moving that way. Each eSkate has a trippy LED light on it that can be changed from a solid color to an undulating rainbow of colors, which is fun to look at but doesn’t seem to add much other functionality. The footpads on the Drift W1 are very grippy, and I never felt like my feet were going to come off by accident, although it did take a little while to get the hang of the eSkates. I would say that it took me about 15-20 minutes of practice (while being held up by my wife) before I felt confident enough to really have fun with the Drift W1. But once I got used to it, I had a blast speeding around my house, turning tight corners, and even doing figure skater-style spins. The individual Drift eSkates themselves are compact and feel heavy for their size, at 7.7 pounds, but they’re light enough to throw in a backpack and take with you. I brought them into work one day in NYC to show off to my coworkers, and while I wasn’t confident enough to ride the Drift W1 through the streets, I had a lot of fun zooming around my building. What I found with the Drift W1 skates is that they’re great for flat surfaces, but have trouble on bumps or with rocks. The wheels aren’t large enough to easily roll over small pebbles, and I’d often lose my balance because a wheel got caught on a rock. So you’ll want to find a smooth surface on which to ride your Drift W1. One design feature that I was impressed with was the fact that the charger for the Drift W1 was split into two separate tips so that you can charge both eSkates at once. I found the Drift W1 to be a ton of fun as long as you have a smooth surface to ride them on. They go up to 7.5mph, which is plenty fast enough, even if it doesn’t sound like it, and the battery lasts up to 45 minutes. They require a certain amount of body control and balance, so they’re not for everyone, but my wife and I had a blast. 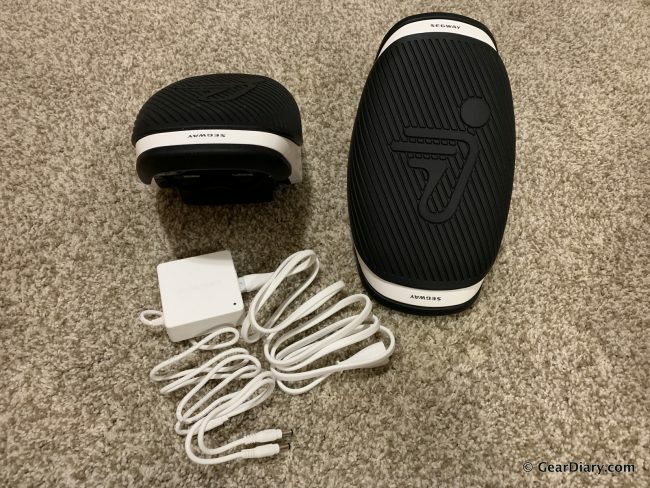 You can buy yours from Segway for $469 at store.segway.com. 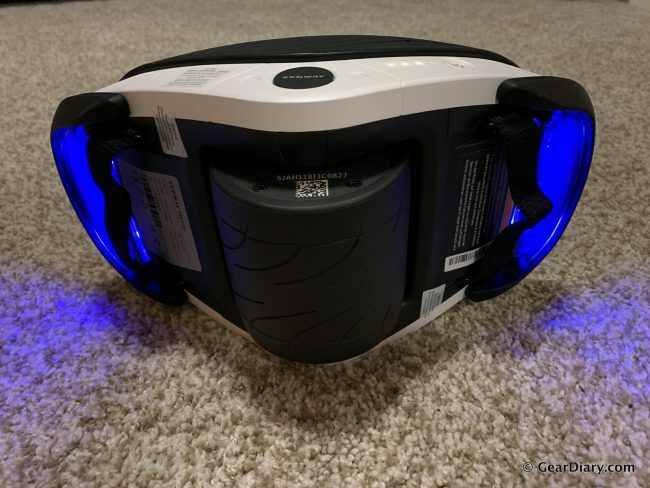 The Ninebot Gokart Kit is one of the most interesting gadgets I’ve reviewed. 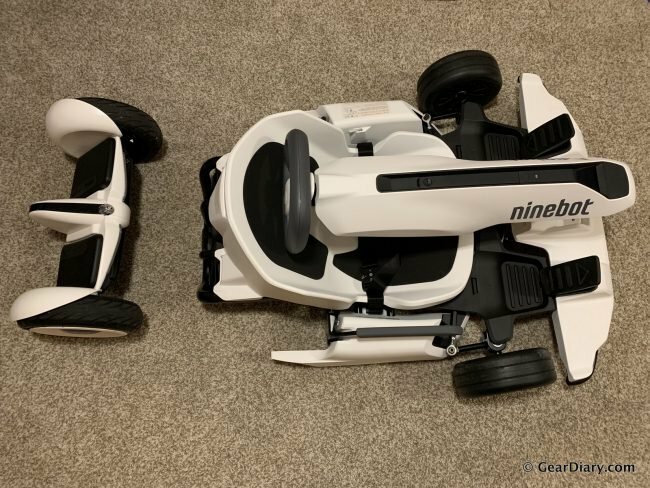 As my wife Stacey put it, “This is the most fun review you’ve done!” The Ninebot Gokart kit is a Gokart frame that turns into a speed demon when you attach a Ninebot S or Ninebot miniPRO as the rear wheels and engine. The Ninebot Gokart Kit is sold as a $799 accessory, so you’ll need to buy the Ninebot S or miniPRO separately. Segway does, however, sell a bundle including the Ninebot Gokart Kit and Ninebot S for $1,288. Once you get your hands on the Gokart Kit, though, you’ll understand the $799 price tag. It’s a beautifully engineered piece of hardware that is adjustable for 8-year-old kids all the way up to a 6’-3” adult with a max load of 220 pounds. 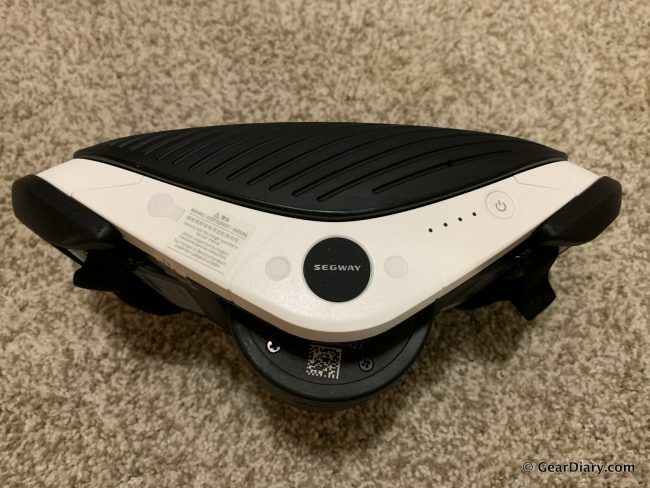 The Ninebot S or miniPRO is attached as the rear axle using a specially designed attachment plate and strong Velcro straps. The frame can be made longer or shorter and the steering wheel assembly can also be raised or lowered, depending on rider height. There’s a headlight in the front to be sure you can be seen at night, although I found it doesn’t illuminate the street as well as a regular car headlight would. The Ninebot S in the back also provides rear lighting so you can be seen from behind as well. The Gokart has built-in gas and brake pedals and the brake pedal can be double-tapped to switch to reverse mode or double-tapped again to go back forward. The Gokart Kit has two layers of impact protection, a plastic energy-absorbing layer and a steel beam that makes up the frame, so you should feel safe in case of an accident. The kit also includes two brake systems; one uses the brake pedal that slows the engine while the other is an emergency hand brake that can be pulled to stop the go-kart. The hand brake isn’t just for braking, however. It can also be used for drifting around corners without losing too much speed, which is insanely fun. The Gokart kit uses two non-inflatable hollow tires that never need to be filled and provide great cushion while riding. The Ninebot Gokart Kit has three different driving modes, which can be changed via the Segway mobile phone app. You’re locked in Novice mode until you complete the in-app tutorial. In Novice mode, you can reach up to 5mph, in Standard mode, you can reach 11mph, and in Sporty mode, you can reach up to 15mph! Acceleration is surprisingly powerful and I often found myself unprepared for the torque, but I can’t overstate how much fun I had riding around the neighborhood in this. We got a ton of funny looks as adults riding a go-kart around, but I think everyone was jealous. Being that it’s an electric motor, it’s totally silent, which is also a nice touch since you’re not making a racket while ripping around the streets. 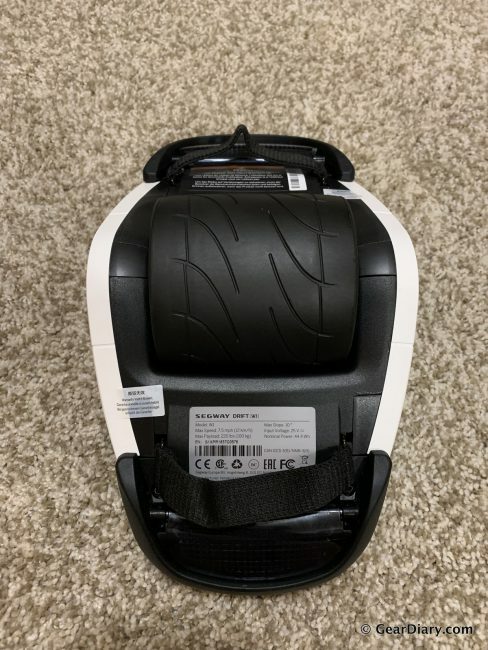 The biggest downside to the Ninebot Gokart Kit, in my view, is the weight of it. It weighs about 61 pounds without the Ninebot S. So if you have the Ninebot S attached, it weighs over 90 pounds. It doesn’t sound extremely heavy, but it’s very awkward to carry and it will typically require two people to carry it or put it into the back of a car. Speaking of which, you’ll need a large SUV or truck to be able to transport the Ninebot Gokart Kit. Weight aside, the Ninebot Gokart Kit is a toy for the whole family to enjoy. It can reach speeds of up to 15mph with a range of about 9 miles depending on your weight. It’s a really neat product and exemplifies Segway Ninebot’s imaginative nature. I’m left incredibly impressed, and I honestly wish we could have kept it for years to come! You can purchase your Ninebot Gokart Kit from Segway Ninebot at store.segway.com. 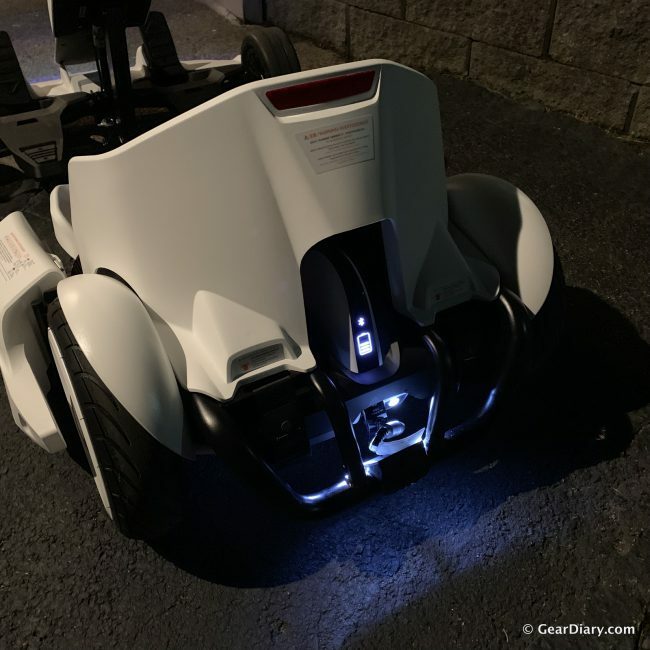 Source: The Segway Drift W1, Ninebot Gokart Kit, and Ninebot S were loaned from the manufacturer for testing.